Silver coins are a great investment for collectors and offer a vast array of styles and designs. Our coins have been professionally certified and graded By PCGS (Professional Coin Grading Services) and NGC (Numismatic Guaranty Corporation) and are guaranteed to be authentic specimens. Silver has long been viewed as a precious metal and is used in many bullion coins. 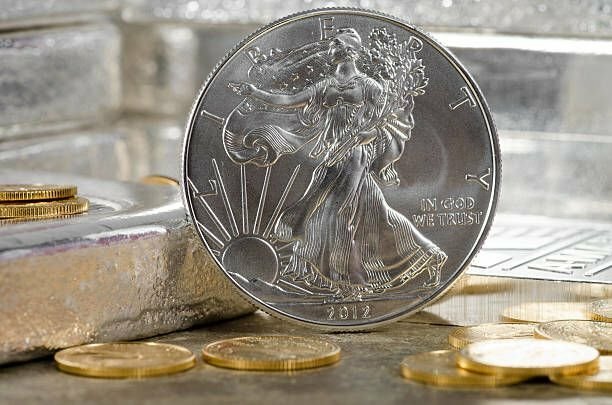 Now is a great time to buy silver as it is undervalued presently and is in a position to increase in value in the near future. Silver is not only used in bullion and coins, it is used in solar panels, electrical products, medical equipment, and other useful products. It is a beautiful metal and an affordable way to invest in precious metal. Please visit our Vault to see the wide variety of silver coins that we have available. If you are looking for something specific that we don't currently have, let us know and we will make every effort to find it for you!